What’s so “special” about North Shore? North Shore Day Camp has lots of special event days & programs scheduled for this summer. Along with personal choice Club/Electives (1st-9th grade), League and travel days (3rd-9th grade campers) we have a lot of special events, special theme and dress up days on the calendar. Take a look at our interactive online calendar. Just scroll over each date of the summer and see what pops up! During the month of July on Fridays we will be busy celebrating Halloween (wear your favorite costume), riding a unicycle(can you learn to balance on just one wheel?) and Singing along with the young stars on The CAMPLIFIED Tour. On Fridays in August you will find us all having a blast at our annual Carnival, attending NSDC’s Show Club Production and dressing up and line dancing in our South West finest! Along with Special Event Fridays, at NSDC you will find a special event on Mondays known as TGIM (Thank Goodness Its Monday). This special event is JUST for our littlest campers, The Stepping Stones. We want to welcome them back after a long weekend with a Monday Morning WOW! Some of the events planned are: A character breakfast (who will be the special guest joining them that morning? ), Magician Gary the Great, The Small World Puppets, Erik and his Animals, a spirited morning of SS Olympics, Graffiti Day (draw WHERE in camp??) and culminating with a rousing Stepping Stones Talent Show! 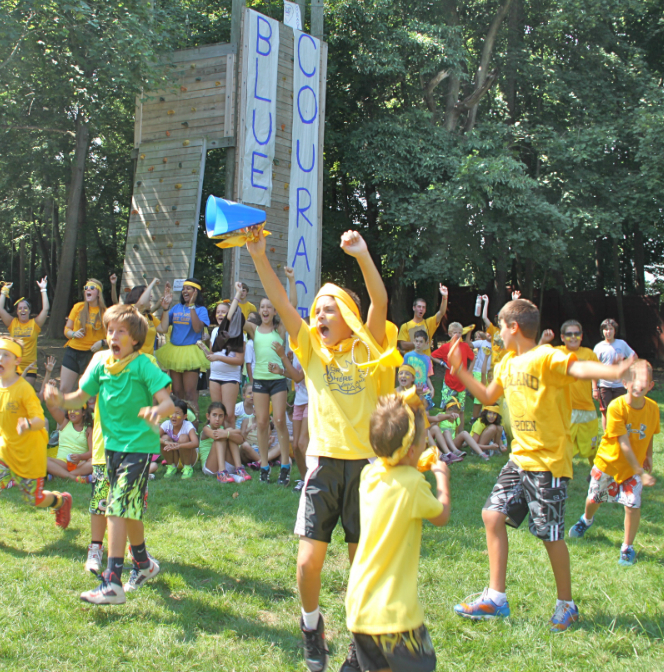 The Stepping Stones campers and counselors sure do love their TGIM days!! Sprinkled throughout the calendar you will also find: Rock your Socks Day (wear your craziest socks), Morry’s Swim a Thon, North Shore Cares Day, NSDC in house swim meet, Wear your favorite College/School T shirt Day and the ever popular Happy Un-Birthday Day! And saving the best for last – TRIATHLON – when will triathlon break? All these days and special events are on the calendar we sent home and on our web site. Check it all out and share the fun with your campers, we certainly do!